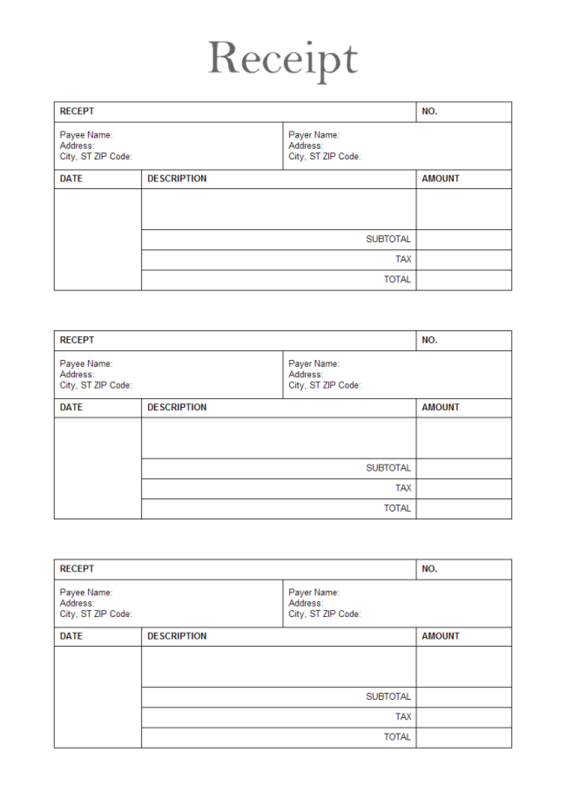 Description: A free customizable receipt template is provided to download and print. Quickly get a head-start when creating your own receipt. You can print out 4 pieces of receipts each time with this template, which save both time and paper. Here are more business form templates for you to apply. Post your awesome business form creations in this sharing community and inspire other form designers. All existed business form templates are available to download and edit for your own use.